our shop you can also buy them! You can find unique gifts and interior items in the museum shop! We are called "The museum winkel" for a reason. In our store and webshop you can look around as if you were in a museum, but everything is for sale. We offer taxidermy, science and natural history collectibles, artifacts, and other interior decoration. The Museumwinkel.com has an unique assortment of mounted mammals, birds, exotic butterflies, insects, fossils, minerals, decorative shells, skulls, skeletons, taxidermy supplies, antique and other curiosities. We work for private individuals, scientists, collectors, interior decorators, film and television, fashion & jewelry designers, advertising, photographers, artists, museums & galleries and theatres. We are an official and price- winning taxidermy company. 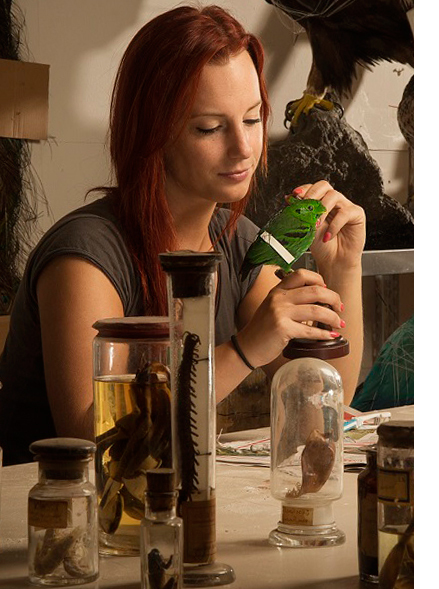 From our atelier we are able to handle your taxidermy needs to high professional standards. We work with 5 qualified taxidermists. We are very proud to announce that 3 of our taxidermists are Dutch Champion Taxidermy. All our animals come from zoos or farms where they died of old age or sickness. soft tanning of all kinds of skins, cleaning and bleaching, skeletons and skulls taxidermy for art hunting trophies, taxidermy tools like flexible forms and tanning liquids etc. etc. We have a lot of skins for taxidermy in stock (e-mail or call us for questions). Every day we update the store.